Duplex 2205 stainless steel pipes are available in sizes ranging from 1/2 in. to 48 in. & lengths of 20 ft.
Metline is one of the largest manufacturers of standard & custom industrial Duplex stainless steel pipes. We manufacture welded and seamless Duplex 2205 stainless steel pipes in schedule 10, 40 and 80 in 1/8″ to 24″ sizes. Our stainless steel Duplex pipe processing capabilities include tapering, cutting, reaming, chamfering, grooving, machining and bending. 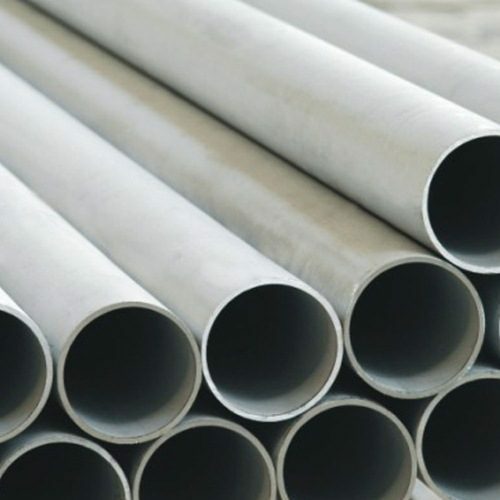 Due to their high corrosion resistance and top quality, our duplex stainless steel 2205 seamless and welded pipes are widely supplied to many industries, such as electricity, petroleum, natural gas, chemicals, shipbuilding, heating, papermaking, metallurgy and so on. ASTM A790 – The specification covers seamless and straight-seam welded ferritic/austenitic duplex stainless steel pipe for general corrosive service, with particular emphasis on resistance to stress corrosion cracking. Metline is a specialist manufacturer and supplier of Duplex 2205 pipes (UNS S31803/1.4462) in India, with over 200 customers throughout the world. Stainless steel Duplex pipes are generally used for applications where corrosion protection is necessary. We manufacture, stock and sell stainless steel 2205, UNS S31803/1.4462 seamless and welded pipes or tubes. Metline is a supplier of full range of stainless steel Duplex 2205 pipe schedules ranging from Sch 5 thru Double Extra Heavy. All our Duplex 2205 stainless steel pipe offerings can be cut to size, threaded or polished per customer requirements. Duplex stainless steel pipes are widely used in producing furnace components, heat exchangers, superheater and afterburner parts, compensators and expansion bellows, chemical and petrochemical piping systems. 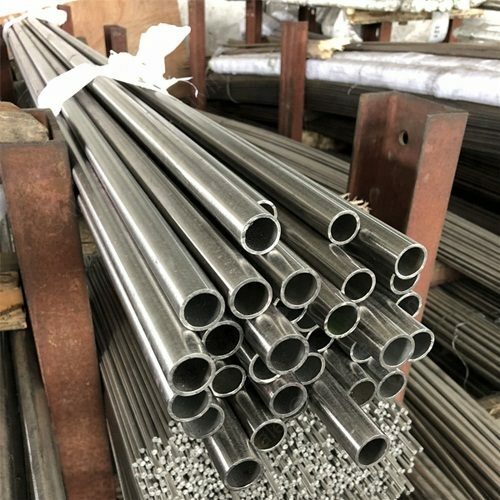 All stock of Duplex stainless steel pipes (UNS S32205/S31803) is produced in accordance with ASME/ASTM SA/A790 with dimensions and weights in accordance with ASME B36.19. ASME B 36.10. Stainless Steel Duplex 2205 is the most widely used duplex (ferritic/austenitic) stainless steel grade. It finds applications due to both excellent corrosion resistance and high strength. Duplex 2205 is a nitrogen enhanced stainless steel that was developed to combat common corrosion problems encountered with the 300 series stainless steels.Duplex Steel 2205 is not generally suitable for use at temperatures above 300°C as it suffers from precipitation of brittle micro-constituents, nor below -50°C because of its ductile-to-brittle-transition.